In this modern era of oncology, the potential extent of malignant spread is staged by high-quality scans. Further, when oncologists have questions about response(s) to cancer treatments rendered, we simply order another scan for comparison. These images can often provide us with an answer, right? In today’s medical environment of CTs, MRIs, and PETs, we rely heavily on technology in making our diagnoses. For example, if a patient complains of back pain, we will interview the patient—by taking a history—to investigate the pain’s possible origin and symptoms, and examine the patient’s body for signs of a particular disease process. But, in fact, no matter how much time we spend with our patients, we will ultimately order tests to confirm a particular treatment response. Simply put, to measure if there is cancer progression, or not, as evidenced by metastases, or not, scans are often ordered for confirmation of our suspicions. It seems nowadays, in our experience, it’s quite easy to overlook the importance of the physical examination. However, one should ask, what can we learn about our patients by examining them that we can’t learn from only looking at a scan? We are of the opinion that to maintain the relevance of the clinical observations conveyed by Dr. Osler, “to learn to feel [the patient],” medical educators should seek out oncology clinics for the wonderful teaching opportunities they could provide trainees in the science and art of the physical examination. In addition to learning what the difference is between a normal versus abnormal physical exam, students can also gain practice describing their findings. Some cancers are self-diagnosed by patients, which is especially common in patients with breast or head and neck cancers, who can often palpate an abnormality. Since healthy individuals are typically seen in internal medicine clinics, most will not have, for example, “masses” to examine. As such, medical students often lose the opportunity to a learn what a “fixed, non-mobile, rock hard, 2-cm mass” feels like. In contrast, patients with “palpable axillary matted lymph nodes” can frequently be found in an oncology clinic. Whether it’s a skin cancer lesion, lymphadenopathy, palpable masses, voice changes, or ascites, patients with cancer frequently present with physical findings related to their diagnosis. As such, these patients and clinics can serve as invaluable teaching experiences for medical students and resident physicians alike. Cancer treatments—including surgery, chemotherapy, and radiation—cause real physical and metabolic effects that can often manifest on patients’ bodies. Surgery causes scars, sometimes “horizontal,” “vertical,” or “curvilinear.” Patients may have “proximal weakness” (due to steroids), and may complain of “tingling sensations or various neuropathies” (due to chemotherapy). Patients undergoing radiation may experience “moist desquamation or skin breakdown.” After breast surgery, a “tender seroma” may develop at the surgical site. All of these conditions manifest themselves at some at some point in their clinical history, physically. Forty percent of the physical exam is conducting by looking at the patient. Are their eyes (sclera) yellow? Are they wincing from pain? Are they alone or accompanied by someone? What is their performance status? What is their affect and mood? Where are their scars and are they well-healed? Each of these signs represents an important aspect of an oncologist’s physical examination, because it provides us with information about how the patient is doing overall. A scan cannot make this determination. This overall global view of the patient is vital to decision-making. If we feel something may be wrong, we may order new scans, or change the treatment course. Our take-home message is clear and simple: medical educators should seek out oncologists to teach the importance of the physical examination to trainees. Despite the value of scans in oncologic medical practice, the physical examination, in our opinion, remains at the very heart and soul of caring for our patients. 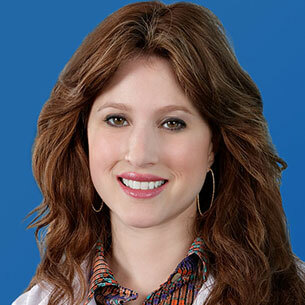 Dr. Dawson is a radiation oncologist at The James J. Peters Veterans Administration Medical Center in Bronx, NY. He also serves as a Clinical Assistant Professor of Radiation Oncology at the Icahn School of Medicine at Mount Sinai Hospital of NYC, NY. His interests include palliative radiotherapy care, prostate cancer, clinical research, medical education, and open-water competitive swimming. Bryan, Charles S. Osler: Inspirations from a Great Physician. New York: Oxford University Press, 1997.